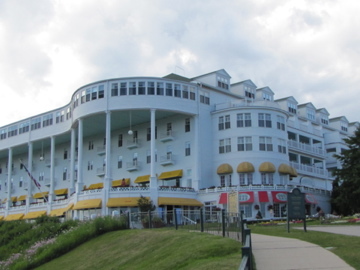 This Summer, while visiting Mackinac Island, I took my cousin and daughter to afternoon tea at The Grand Hotel. I believe the hotel was having it’s 125 birthday the same weekend. Can you image 125 years? It still looked and felt like days gone by. We got there promptly at 3 pm and was instructed to find a seat in the lounge wherever we desired. I have had afternoon tea at quite a few places so Iwas really excited to have tea at this wonderful old hotel. It was a little different than the afternoon teas I have experienced in the past. It felt more like a mass market tea than an afternoon tea, at say, The Ritz. However, the price was also much cheaper at $25.00 a person, and was still an enjoyable, amazing experience. The servers were all very pleasant and the food beautifully prepared and tasteful. After finding our comfortable seats in the lobby of the hotel we were greeted by a nice gentleman who asked us if we would like champagne or sherry. We chose the champagne and sparkling cider for my daughter. We waited quite awhile for our champagne and pot of tea. 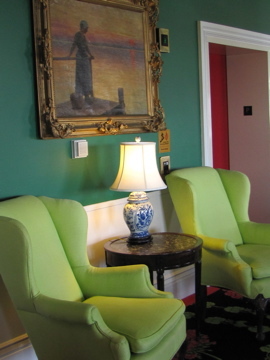 However, we were just so comfortable in the lounge that we really were not too anxious about the wait. 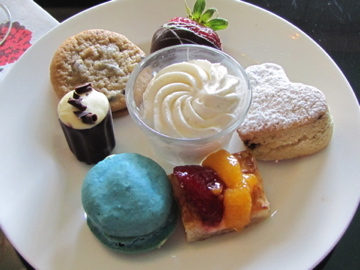 We received a pot of Earl Grey tea, finger sandwiches, scones and desserts. 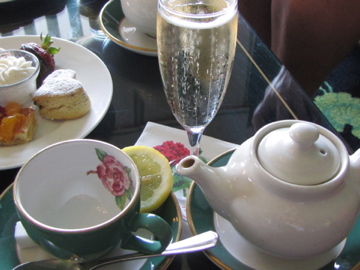 I was a little disappointed that there was no choice of teas, however, it was very delicious and as I indicated above, it was a very busy weekend. We took our time, had second flutes of champagne and enjoyed our treats. It was such a lovely setting and the food was all very tasty. 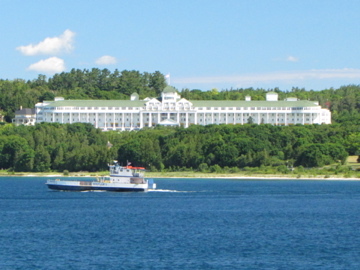 I would definitely recommend the experience if you are ever on Mackinac Island and enjoy afternoon tea. Below are some of the photographs I was able to take of our grand afternoon tea! Join me later on my blog when I revisit The Grand Hotel for more quirky photographs taken at this amazing hotel. 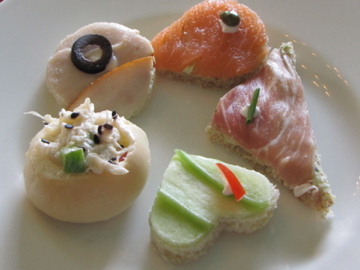 Looks wonderful even if it was a scaled down high tea! The savories look yuuuuummmmmyyy to me!